Affordable, Ergonomic Handrim Grips. Improve your comfort and performance with the Fit Grips. 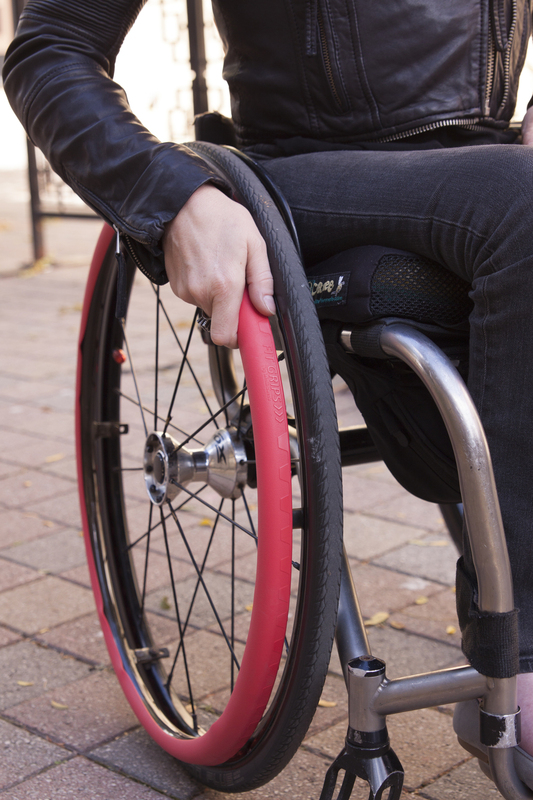 Designed to fit your hand and your budget, Fit Grips are perfect for anyone looking to push their wheelchair with more comfort and ease. The patent pending design increases the circumference of the hand rim to minimize the strain on your hand, while the improved grip allows you to push with less effort than ever before. Fit Grips stretch to securely fit on any 20", 22", 24", 25" and 26" hand rim. By only wrapping 3/4 of the way around the push rim Fit Grips provide extra grip on the pushing surface leaving the underside exposed for fine adjustments and braking. 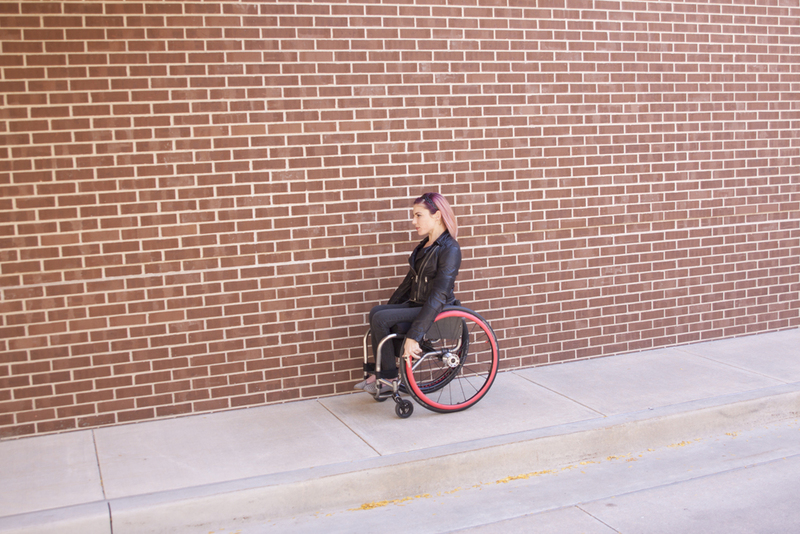 FIT FOR COMFORT >> With Fit Grips on your rims, each push is cushioned by a soft, smooth surface. FIT FOR CONTROL>> Increased grip improves efficiency and power while making it easier to start, stop and turn. FIT FOR ERGONOMICS>> The patented shape of the Fit Grips minimizes stress in your hands, wrists and forearms. A portion of each Power-up Pink Fit Grips sale will be donated to Susan G. Komen Breast Cancer Foundation, Inc. during the month of October. High endurance rubber grips designed for active indoor/outdoor use. 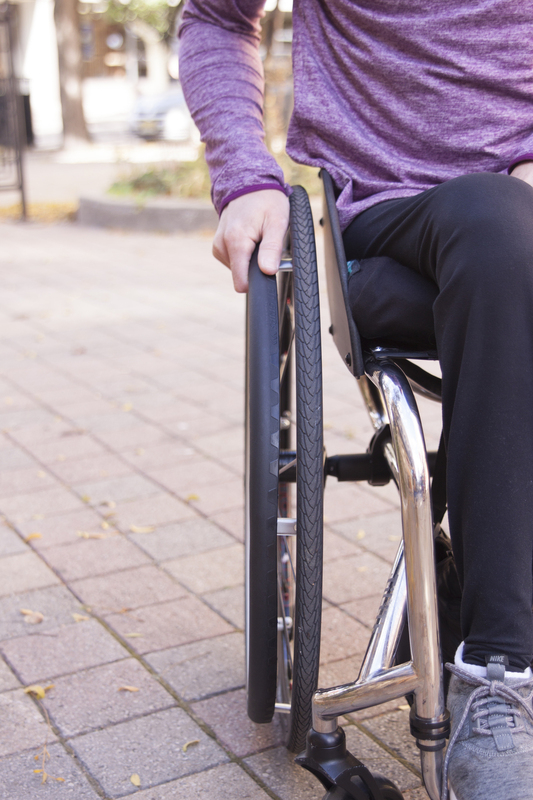 Most adult sized wheelchairs have 24", 25" or 26" wheels. Sometimes, your tire will indicate your wheel size. You can measure your wheels by measuring from the outside of the tire to the outside of the tire. Round up to the nearest inch. Example: if you measure 23-1/4", you have 24" wheels. If you have 24" wheels, we generally recommend the fit grips that are sized for 24-26" wheels. The version sized for small 24" wheels are generally only for power assist wheels, or for X-Core brand wheels. 20" and 22" sizes are generally for pediatric wheelchairs. 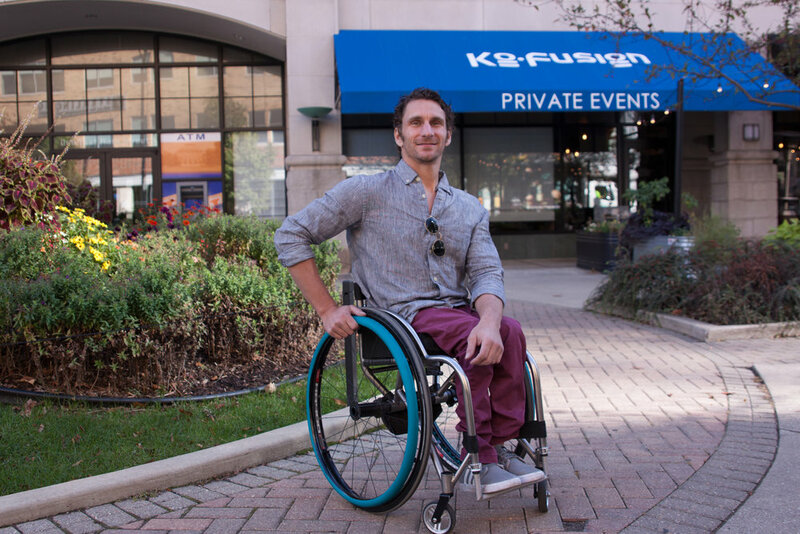 As a founding member of the IntelliWheels Team, Josh has been dedicated to working with IntelliWheels to develop products that help maximize the performance of your wheelchair. Fit Grips are designed to get the most power, efficiency and comfort out of every push. 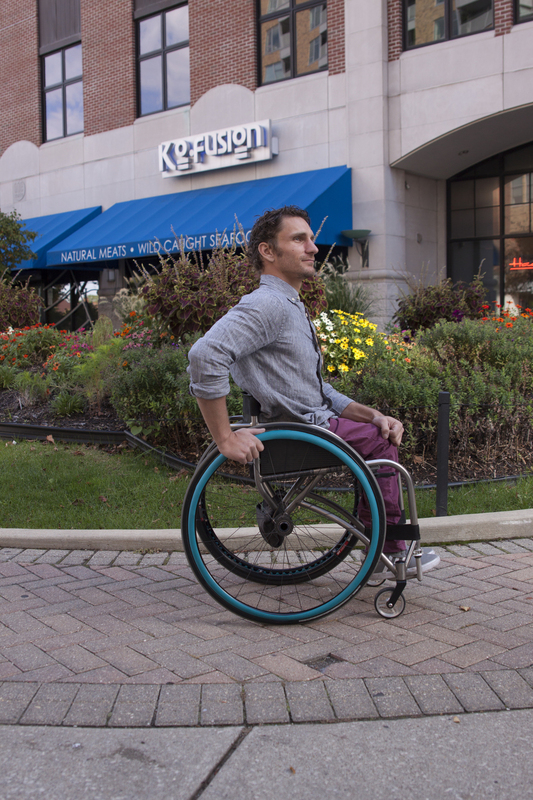 They were painstakingly tested by Josh and fellow active wheelchair users to ensure IntelliWheels had the perfect design for daily life. 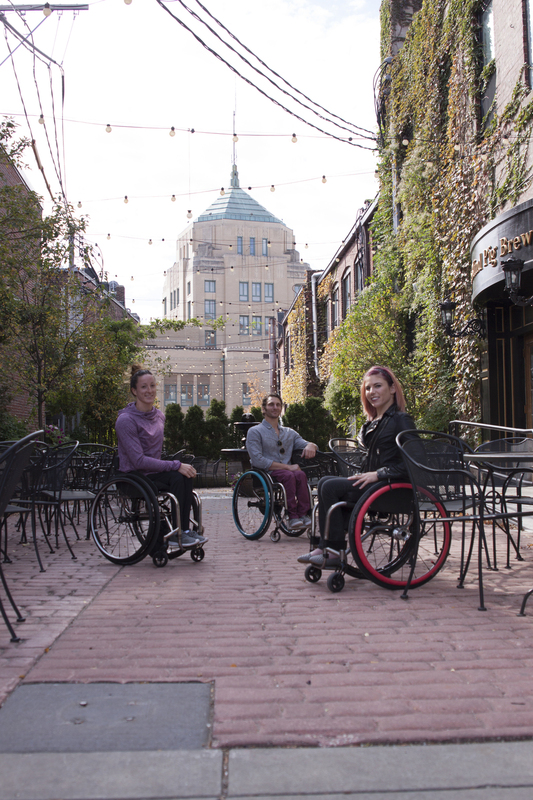 The Fit Grips, by IntelliWheels, are the perfect fit for life.